Wonder when this will drop. Need to plan accordingly. The price seems to be a bit high to me. 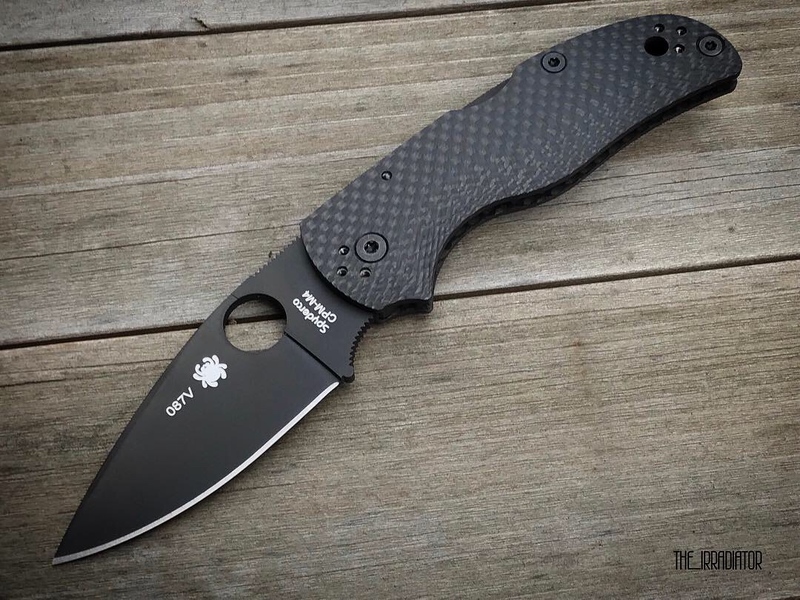 More expensive than the Para 3 released over the summer, and only $30 less than the much larger Military that just dropped. Currently have 16 's in 12 different steels. Yeah, prices keep climbing, thats for sure. I assume this one is on the high side foe a Native due to the DLC coated lockbar and backspacer. More DLC coated parts = more $$$. 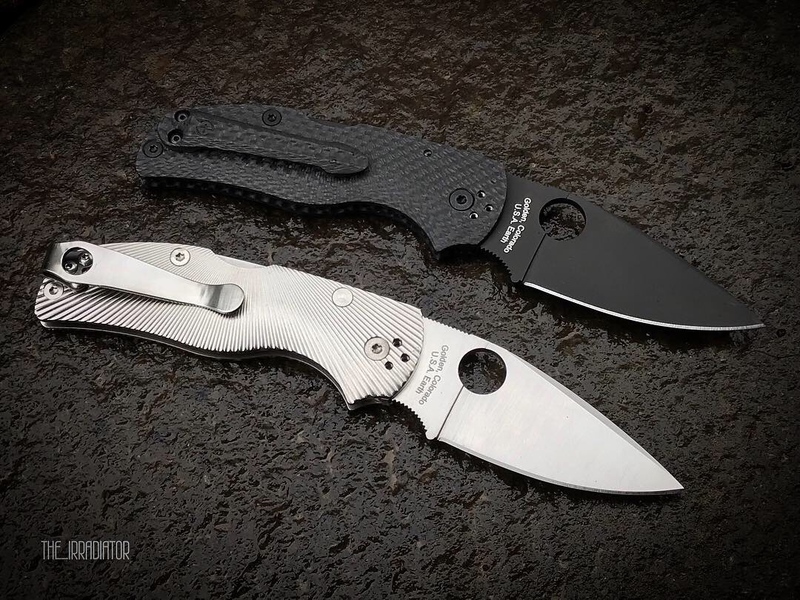 That why the St Nicks Delica ended up costing so much. They DLC'd everything. Id rather pay more and have DLC everything than save a few bucks and have a weird mix of DLC and Satin like people are complaining about the spacers being satin on the DLC Millie. Agreed, it's a bit much for a Native but you only live once. Price of the satin version last year was $155, so $10 more for DLC seems downright reasonable. Well, that’s the silver lining for those that need a bit of justification. Otherwise, you can think of it as being *consistently* high priced. That 40 year Native it beautiful. Any release date on the DLC M4 yet? Where'd you get that clip? It goes really well with the fluted CF. Latest arrivals: Spydiewiki Maxamet Manix 2, 2018 Spyderco Forum Para 2, Super Blue Calypso Jr.
By far, the best looking Native I've ever seen. Definitely pocket jewelry! I wouldn't even cut a sheet of paper with that baby! That knife looks great RS! Thanks for the pics! Can't wait to finally make this a long waited reality as well. Wow! Absolutely breathtaking Thank you so very much for sharing. I can’t hardly wait for mine! 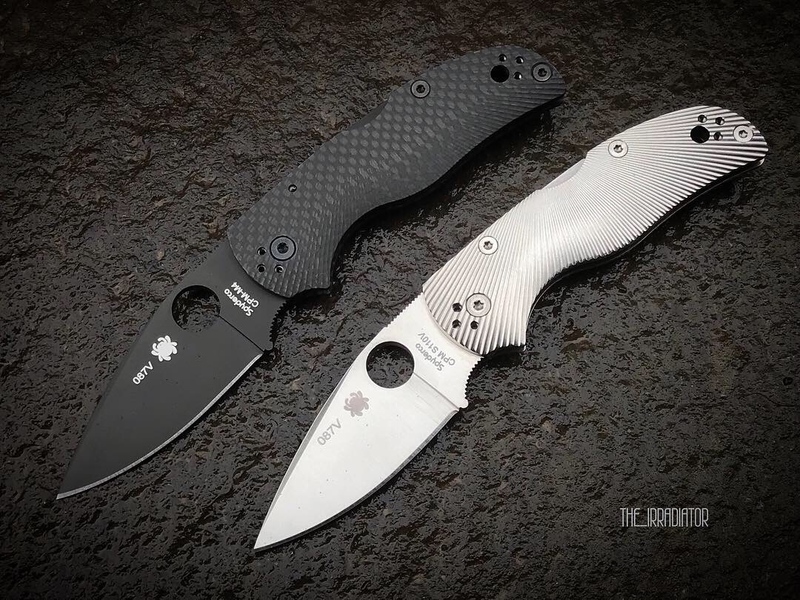 I agree on using the M4/DLC...my Para 3 version is possibly my favorite user knife. I'm just saying in terms of those beautiful scales and pocket clip, I guess I went a little overboard haha. I was just in awe of the looks of this thing. On all the models I have seen the DLC versions typically cost $10.00 more. The price is a fair price considering the M4 Steel. 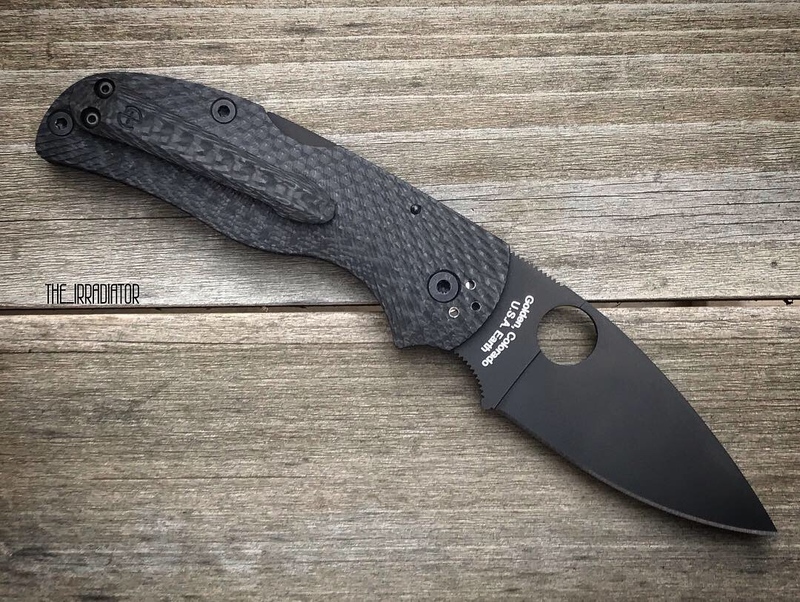 I will be buying one and am circling a Fluted CF model as well after seeing how great the one shared here looks. S90V is no slouch either. M4 DLC Married to Fluted CF Oi Mate now that's a Knife!! 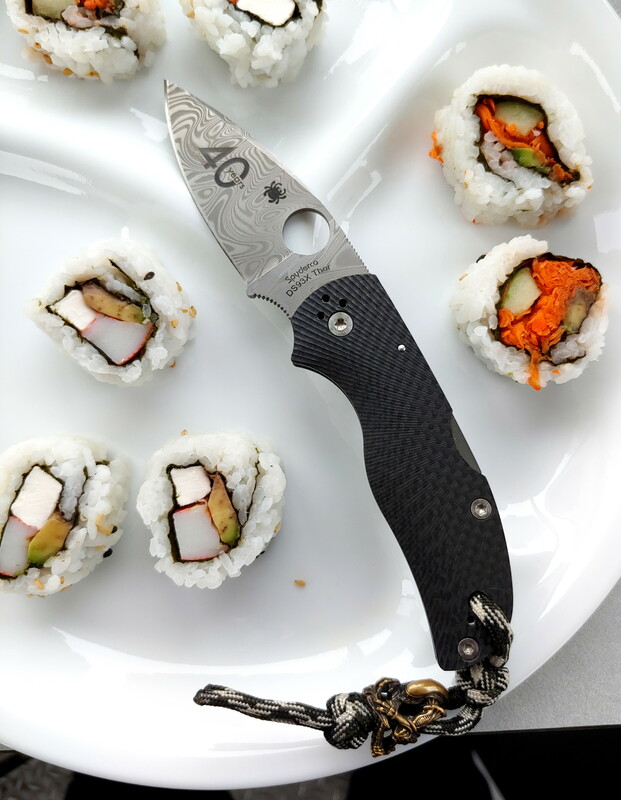 I have tried many different High End brands and only Spyderco consistently produces High Quality Knives with the most Innovative Steels and Incredible Designs and often for less money than others. I have been surprised many times by Sal's design in the dark philosophy and agree with it. How it feels in the hand and how it cuts matters more than how it looks. Lipstick on a pig, does not make it something other than a pig. Wow! That’s really impressive RS! Thank you guys, I appreciate the comments. 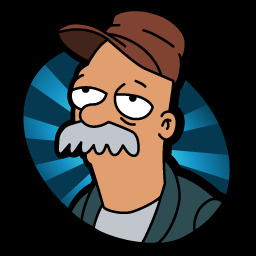 The CF clip is made by Aramis Ahkmedov in Russia, who has a webstore on both Amazon and eBay. 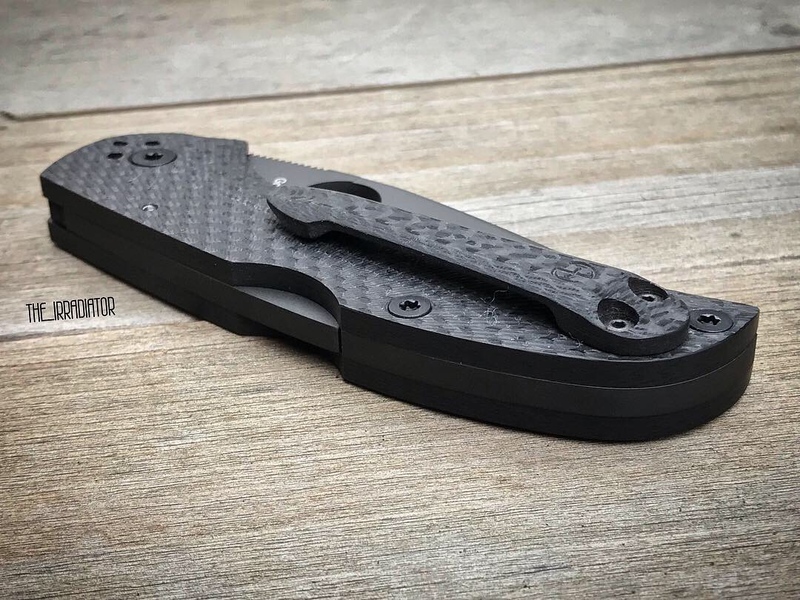 Can’t possibly recommend his stuff any more highly, I have a few PM2, Para 3 and ZT scale sets from him that are phenomenal quality and I have 3 of these CF clips. They are extremely strong and while I won’t say someone couldn’t break them if snagged hard enough, it would take a mighty snap to do so, they’re that tough (on par with any metal clip). I thought my fluted carbon Native 5 was perfect the way it was!